Balance funds are a mix of stocks and bonds which reflects a moderate approach. The primary goal of balanced funds is to create regular and stable income by investing in debt securities and invest a portion in equity for capital appreciation. Balance funds are a mix of stocks and bonds which reflects a moderate approach. The primarily goal of balanced funds is to create regular and stable income by investing in debt securities, and invest a portion in equity for capital appreciation. Some funds invest upto 80% in equity in bull markets and in bearish market it may go down up to 65%. These funds are suitable for investors who are looking for long term capital appreciation along with regular income. However, regular income is not guaranteed. Below are the some of the top 3 recommended balanced fund. Aditya Birla SL Balanced ’95 Fund is a balanced equity-oriented fund which tactically allocates 50-75% to equities depending upon the market scenario. The scheme uses top down approach to select the sectors and bottom up approach for stock selection. HDFC Prudence Fund is a balanced equity-oriented fund, which invests 40-75% in equities and rest in debt instrument for capital appreciation. 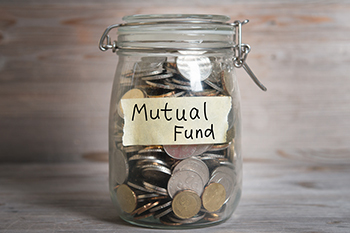 The fund is managed by Prashant Jain, one of the pioneer fund managers in the Indian MF industry. ICICI Pru Balanced Fund is a balanced equity-oriented fund which does tactical allocation between debt and equity to ensure optimal risk reward. The Fund has invested ~67% of AUM in equity to give steady growth over long term while ~26% is allocated to debt investments to cap the down side risk.